It’s now midway through the year and awards season is already looming large. 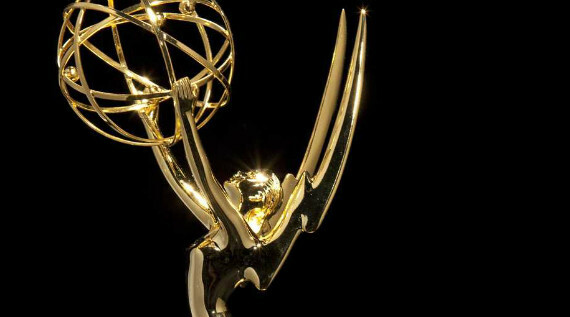 On Wednesday of last week, the National Academy of Television Arts & Sciences announced their nominations for the 36th Annual News and Documentary Emmy Awards, calling attention to the fact that nontraditional production outlets like The New York Times and Netflix continue to garner critical attention. Among many others, Daniele Alcinii reported on the nominations for Realscreen. While the Emmy noms have already been announced, the Cinema Eye Honors are still taking regular submissions until this coming Friday. Each year the Toronto International Film Festival is always a big part of the awards season kick off and this past week Realscreen’s Manori Ravindran reported that doc directors Asif Kapadia and Avi Lewis, actor Bill Hader and author Naomi Klein will be among the featured guests of this year’s Doc Conference taking place during Toronto’s premiere festival in September. In other festival news, Basil Tsiokos wrote up a preview of the non-fiction fare on offer at the upcoming Asian American International Film Festival at What (not) To Doc, while Jorn Rossing Jensen of Cineuropa listed the contenders at this year’s Nordisk Panorama Film Festival in Malmö, Sweden. In addition, Cineuropa’s Vitor Pinto spoke with EDN director Paul Pauwels about Lisbon Docs’ new preliminary development labs, THE LAB. While it was announced that, among many others notable films, Ben Rivers’ THE SKY TREMBLES AND THE EARTH IS AFRAID AND THE TWO EYES ARE NOT will premiere at this year’s Locarno Film Festival, MUBI’s Tom Stevenson comprehensively previewed Rivers’ upcoming form blending BBC Drama Block installation THE TWO EYES ARE NOT BROTHERS. A pair of new freely available films became the top topics of critical discourse this week, the first among them was Pultzer Prize winner Jose Antonio Vargas’ WHITE PEOPLE which premiered on MTV and subsequently went live on Youtube. The New York Times published a pair of pieces on Vargas’ project, one review by Mike Hale and an interview with the filmmaker by Jonathan Wolfe. Mary McNamara of The LA Times also wrote a review stating similarly to others that “WHITE PEOPLE is more conversation starter than a revelation, but the conversations it could start are limitless and important.” Other commentators like The Washington Post’s Soraya Nadia McDonald, Variety’s Brian Lowry, The Cut’s Ann Friedman, The Guardian’s Rebecca Carroll and Flavorwire’s Pilot Viruet also weighed in on the short film. Those looking for more on the topic might also want to check out Michèle Stephenson and Blair Foster’s A CONVERSATION WITH WHITE PEOPLE ON RACE which was published as part of The New York Times Op-Docs web series a few weeks back. Joshua Oppenheimer’s incredible THE LOOK OF SILENCE continues to garner attention, this week having been written about by Jonathan Romney and selected by Film Comment as the Film of the Week, not to mention featured in a pair of substantial reviews by Kenneth Turan in The LA Times and Steve Dollar in The Washington Post. Asif Kapadia’s AMY also continues to draw attention, receiving a pair of ruminations by Ruby Lott-Lavigna in The Guardian and Daniel Cantagallo at Nonfics, as well as inspiring a celebration of music docs by Zack Sharf at indieWIRE. Other films written about this week include David Thorpe’s DO I SOUND GAY?, which was reviewed by Michael O’Sullivan in The Washington Post, Morgan Neville and Robert Gordon’s BEST OF ENEMIES, which received a substantial feature in The New York Times thanks to Michael M. Grybaum, and Matthew Heineman’s CARTEL LAND, having been reviewed by me over at IONCINEMA. Joanna Rudnick’s ON BEAUTY was covered by Booth Moore in The LA Times, and in the same outlet Susan King wrote about Stevan Riley’s LISTEN TO ME MARLON. And at Hammer to Nail, Don R. Lewis wrote at length about Errol Morris’ classic THE THIN BLUE LINE, while Screen Daily’s Melanie Goodfellow interviewed director Ada Ushpiz about her new film VITA ACTIVA, THE SPIRIT OF HANNAH ARENDT. It’s notable that Grantland founder Bill Simmons has left his own creation to join HBO with plans to host a weekly series starting in 2016, as well as develop films and projects for HBO’s digital platforms, according to reports from Stephen Battaglio in The LA Times and Barry Walsh at Realscreen. This week I’ll leave you with a quartet of rather random but fascinating tid-bits from around the net, starting with a piece by Christopher Campbell at Nonfics plainly titled “When Great Documentaries Have Very Limited Appeal and That’s Okay.” The Telegraph’s fashion commentator Bibby Sowray listed her top fashion docs, including recent hits like IRIS and DIOR & I, as well as overlooked films like ANNIE LEIBOVITZ: LIFE THROUGH A LENS and SCATTER MY ASHES AT BERGDORF’S. It was reported in The Guardian that singer/songwriter Neil Young has released a Monsanto smearing doc short titled SEEDING FEAR on Youtube to compliment his recently released record The Monsanto Years. And lastly, Steven Gaydos asked Barbara Kopple to reflect on her now classic HARLAN COUNTY, USA for Variety.